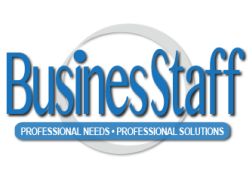 Bill joined BusinesStaff and AS/400 Personnel Agency at its inception in 1996 as the first hired employee. ​He is a senior level professional with a successful track record in developing and managing the recruiting and retention of top talent spanning a broad range of industries in complex business environments. Expertise include the areas of information technology, engineering, sales, marketing, finance and more. Bill oversees all of BusinesStaff’s candidate searches and initial review. Bill has reviewed more than 25,000 resumes. Bill knows people and he knows how to target the right person for each of our Clients, with a nearly flawless placement record. Personal specialties include: Target client Company Acquisition, advertising ,and Industry Research. Job Postings, Company Website and Content, Resume and Job Order Writing and Proofreading. Bill has strong HR background in hiring and training of employees, his experience includes Store Management for a large Northeast chain and Sales Manager for fortune 1,000 company Frito Lay, Multiple awards including top Salesman in all of New England. Bill oversaw and trained all new hires. College focused in the areas of Engineering, Accounting and Environmental Science. Bill is a dedicated family man. When not immersed in his functions at BusinesStaff, you can find Bill swimming laps at the YMCA, or working his farm.